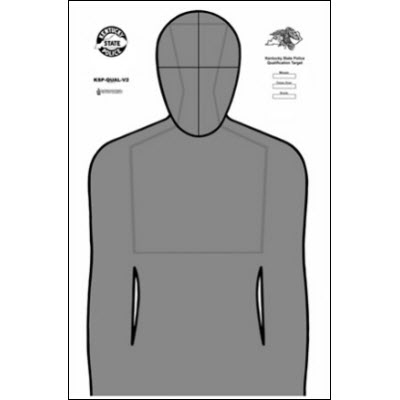 New 2010 Kentucky State Police & State Police SRT qualification target. Silhouette qualification target designed for the Kentucky State Police. Black & Gray Size: 23" x 35".